Top-selling and in-demand, our Next Level 3600 men’s cotton crew t-shirt doesn’t disappoint. Made using lightweight 4.3 oz 100% combed ringspun cotton fine jersey, the Next Level 3600 is a fashionable twist on a basic tee. Pre-laundered to prevent shrinkage and available in sizes up to 4XL, the Next Level 3600 is the go-to option for men’s crewneck tees. 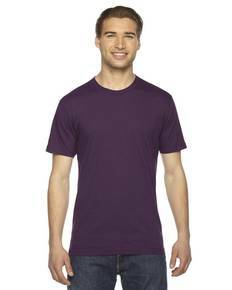 The perfect blank canvas for screenprinting or to simply wear as-is, the Next Level 3600 is the best choice for men’s wholesale cotton t-shirts. Pick up yours now!